2.34 Acres Buildable! 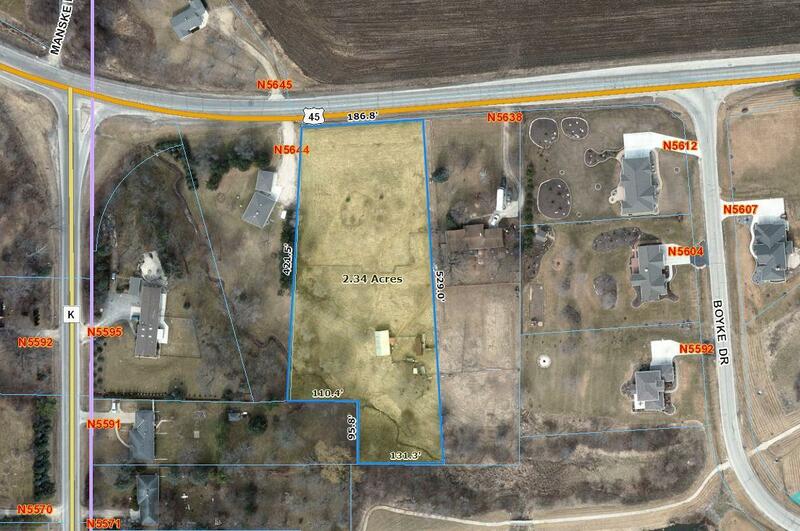 This vacant lot is a rare find on Fond du Lac's Southeast side in the town of Empire with approximately 2.34 acres. Highlights of this beautiful piece of land include sewer lateral at lot line, a level gently sloping lot with walkout potential overlooking hardwoods and part of the Niagara Escarpment, wildlife abounds with turkey, deer, and south facing home orientation. A spacious lot that could be divided after sale into two 1+ acre lots. Peaceful setting, perked for a mound septic with sewer available, previously a hobby farm, open to all builders!